Barcelona organised the International Conference on Sustainable Tourism for Development on 17, 18 and 19 May 2017 as part of the “New Urban Agenda”. Adopted under the framework of the conference, the Barcelona Declaration is a list of pledges the city has made regarding responsible and sustainable tourism. 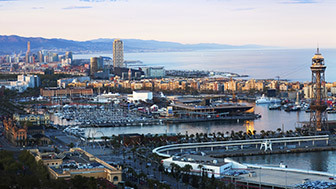 Since 2011 Barcelona has had the Biosphere responsible tourism certificate in line with the international criteria of the Global Sustainable Tourism Council. This is a Turisme de Barcelona (tourist board) programme that brings together various companies offering products for tourists that suggest places to go and services that allow visitors to enjoy the city in a sustainable way. Accessible places, adapted hotels and barrier-free transport. This is a tourist board initiative to help people with disabilities get all the information they need on what the city offers to help them enjoy their visit. The Strategic Tourism Plan establishes the roadmap for the tourist policies that need to be launched over the coming years and makes destination Barcelona’s sustainability a priority and indispensable goal. Barcelona has been ramping up its efforts to fight against illegal accommodation and has launched a website where local residents and visitors can verify their accommodation has a permit. Close to Barcelona there is a host of options for you to enjoy your leisure time, the local culture and nature. A rich and diverse region located between the Pyrenees and the Mediterranean sea, with over 100 kilometres of coastline and a stunning cultural heritage. Barcelona City Council offers a transformative socio-economic vision of the urban reality, by implementing a plan that contributes towards reducing social and territorial inequalities and promotes an economy at the service of people and of social justice. It's perfectly possible to enjoy the city without disturbing local residents' peace and quiet; everyone can get along together with mutual respect. The noise map shows noise levels by street section and is a tool to help check the city'sacoustic status. Barcelona wants its residents and visitors to enjoy the many attractions that the city offers in a balanced way that respects the environment. So it promotes a model of tourism based on respect for the city's economic, social, environmental and cultural resources. As a result, and because it is always innovating, Barcelona has established itself as a tourist destination committed to sustainability, with responsibly managed tourism and a cross-cutting strategy which seeks to ensure it is a model that will endure well into the future. For promoting tourism that shares environmental responsibility between visitors and residents, Barcelona has been accredited with Biosphere certification as a responsible tourist destination. 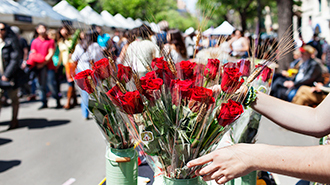 A city with a top-quality model of tourism that fosters the potential of each and every one of its neighbourhoods. The cultural heritage, architecture and creativity of its artists make Barcelona an exceptional city. A city open to everyone, with a wide range of possibilities for tourism related to social responsibility projects. Barcelona is a pioneering city in terms of its architectural adaptation of public spaces for everyone, as well as in proposing improvements for the elderly and people with reduced mobility. With a spirit of commitment to the environment, Barcelona believes in renewable energy, recycling and the implementation of measures to save both water and other resources. Barcelona promotes green means of transport for both residents and visitors alike, including cycling, electric vehicles and public transport with low CO2 emissions. The city's green spaces are one of its most attractive features. Montjuïc Park and Barcelona's green lung, the Collserola range, are examples of the perfect combination of nature and city. From museums adapted for blind people to visits in sign language,, Barcelona commitment to accessibility. This is a building which has been renovated using bioconstruction material which promotes sustainability and environmental education of the general public. This association brings together hotels and organisations in the Fòrum area that share values of social responsibility, environmental issues and cultural development. This is an integrated travel card that helps visitors get around, using a single card for the different means of public transport. Flat and perfect for walking round, as well as being committed to easy accessiblity, Barcelona is a city that invites you to lose yourself in its streets and different neighbourhoods. On top of that, there are many eco-friendly ways of getting around and discovering the city. 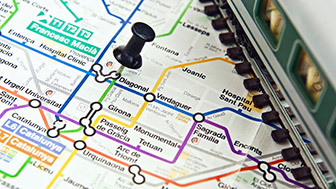 The Bus Turístic (tourist bus) and Barcelona Walking Tours are a great way to enjoy sustainable tourism. The city is also a pioneer in welcoming visitors with special needs. Its urban transport network and public spaces are all adapted to this kind of visitor. Barcelona is a city made to be experienced from within: it allows visitors to mingle with its residents and enjoy its intense identity and artistic and cultural dynamism. It is a city that values and cares for its cultural and architectural heritage but which also opens it up to the people. And Barcelona is also a clean city with Biosphere clean-city accreditation. It promotes separated waste management, low greenhouse gas emission transport, it is committed to renewable energy and takes care of its green spaces and beaches.